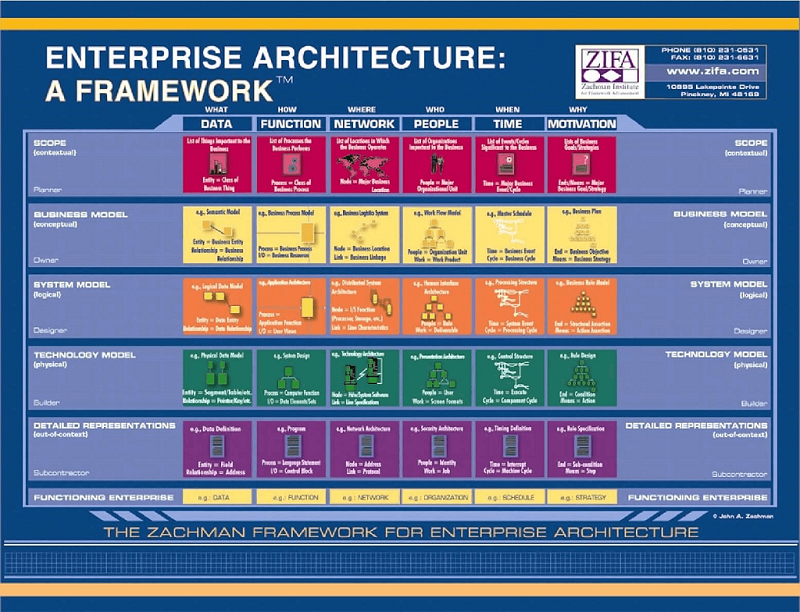 The Zachman Framework is an enterprise ontology and fundamental structure for Enterprise Architecture. Providing a formal and structured way to view and define an organization. All the models in the cells of the framework can be created on Dragon1. Zachman is not a method. It does not imply any method or process to collect, manage or use the information that it describes. The framework is an ontology. It is a schema to organize architecture artifacts. It addresses specs, designs and diagrams. It addresses the target audience of the artifacts. For example business owner and project managers. And it addresses particular issues. For example, data and functionality. The framework was created by John Zachman. He first developed the concept in the 1980s at IBM. The framework has been updated several times since that time.